This ceremony is the formal induction into the Honors College, where students will receive their Honors College pin. Much like the medal bestowed at graduation, this pin signifies membership within the Honors College. 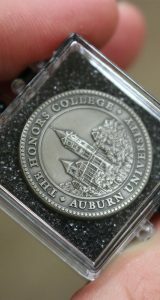 The Honors College medals and pins are not only emblems of membership, but they also serve as recognition of the achievements and the rich undergraduate experiences that students will receive here at Auburn University. Students should take pride in these items as they are a physical embodiment of their time and hard work. During the ceremony attendees will hear from past and current students who will share their Honors College experiences and observations. 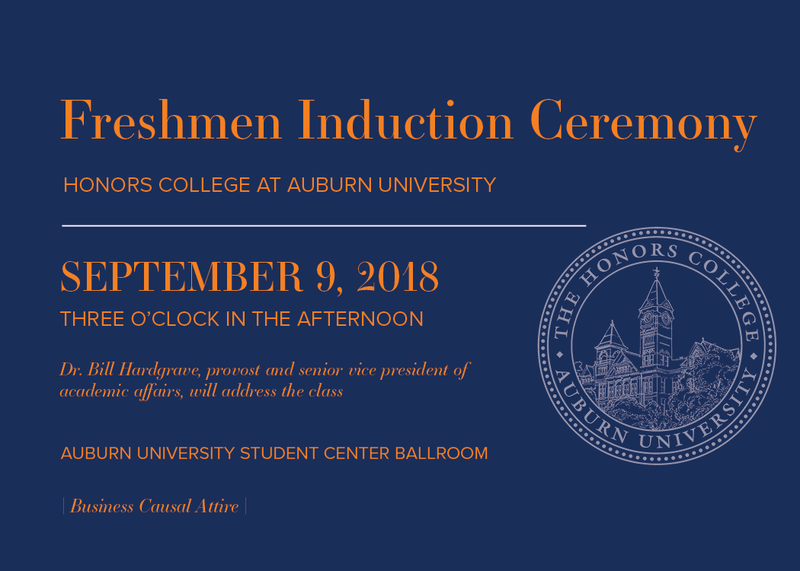 Our special guest for this year's ceremony will be Auburn University Provost and Vice-President of Student Affairs Dr. Bill Hardgrave. The ceremony will take place Sunday, September 9, 2018 at 3 pm. Please arrive early in order to check-in and find a seat. Parking will be available at the stadium parking deck. 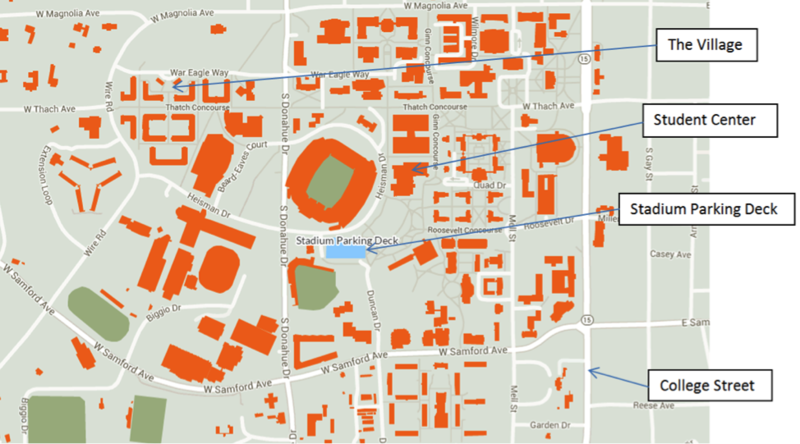 Since the event takes place on the weekend, there is no need to worry about parking permits. Students are asked to dress in business casual. Please direct all questions to your advisor or by emailing the Honors College.